Baroness Karen von Blixen-Finecke (Danish: [kʰɑːɑn ˈbleɡsn]; 17 April 1885 – 7 September 1962), born Karen Christenze Dinesen, was a Danish author, also known by the pen name Isak Dinesen, who wrote works in Danish, French and English. 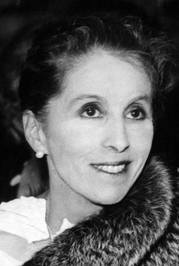 She also at times used the pen names Tania Blixen, Osceola, and Pierre Andrézel. (wikipedia) Pseudonym used by the Danish author Karen Blixen.